(Reuters) - Members of Parliament remain in the House of Commons after debating legislation to force postal workers back to work all night. By sunrise, opposition MPs continued to make speeches intended to delay passage of the government's bill. There is no way of telling when the debate might end. Because the government has a majority in the House, the legislation is certain to pass. The only question is how many hours — or perhaps days — opposition parties will continue to debate it before the bill goes through. Postal employees started rotating strikes on June 3 to back contract demands and were locked out on June 15 by Canada Post, which said the strikes halved mail volumes and were costing it too much money. The two sides had continued negotiating but management announced on Thursday morning that talks had broken off. The dispute has not caused the same public disturbance that postal strikes did before the advent of email and the Internet, but the government said it has prompted enough complaints from small businesses that it had to act. The opposition attacked Labour Minister Lisa Raitt for using the legislation to stipulate wage increases that were less even than management had been offering, and for moving so fast to end the work stoppage. 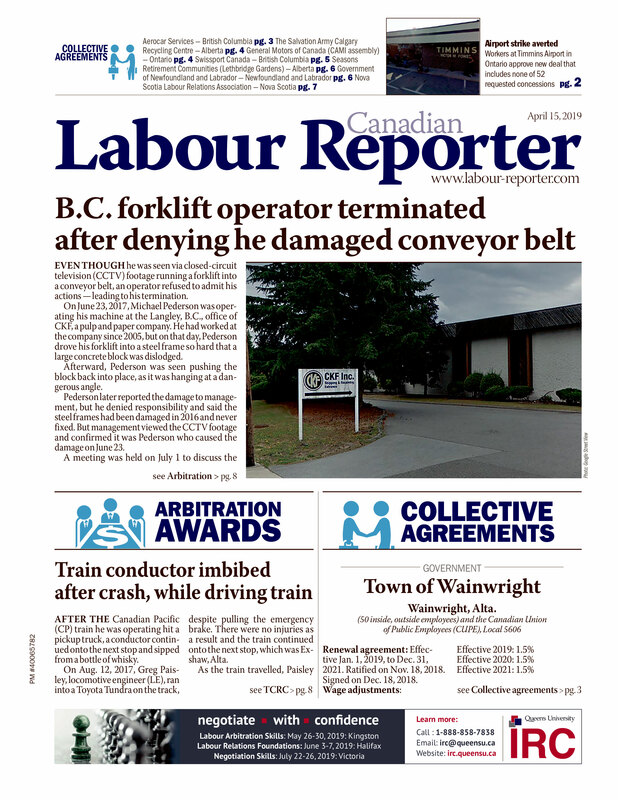 "She has absolutely kicked organized labour in the teeth," Liberal legislator Rodger Cuzner told the House. "We're deeply disturbed that the government has gone to such extraordinary lengths to, in effect, cut out collective bargaining," said Libby Davies of the New Democratic Party. Raitt said the wage increases in the legislation were the same as those received by another public-sector union. The bill sets the increases at 1.75 percent in 2011, 1.5 percent in 2012, and 2 percent in 2013 and 2014. "These are increases that are not guaranteed for the majority of Canadians," she said. In any case, she said, "Wages was not the defining issue on the table...The defining issues had to do with pensions, had to do with new employees, had to with short-term disability." Canada Post was seeking a two-tier package of wages and pensions, maintaining the current structure for existing employees, but introducing a cheaper one for new hires. The Canadian Union of Postal Workers (CUPW), which represents the 48,000 urban postal workers, says management has demanded unfair concessions in areas including wages, staffing and safety. The legislation will appoint an arbitrator who will pick the best final offer from those put forward by the union and management. After it gets passed in the House, the bill still has to go through the Senate, where it should get speedy approval because of the Conservative majority there. Mail service, however, is unlikely to be restored before early next week.